Well seems like there are major problems happening with NASA’s Deep Impact spacecraft. 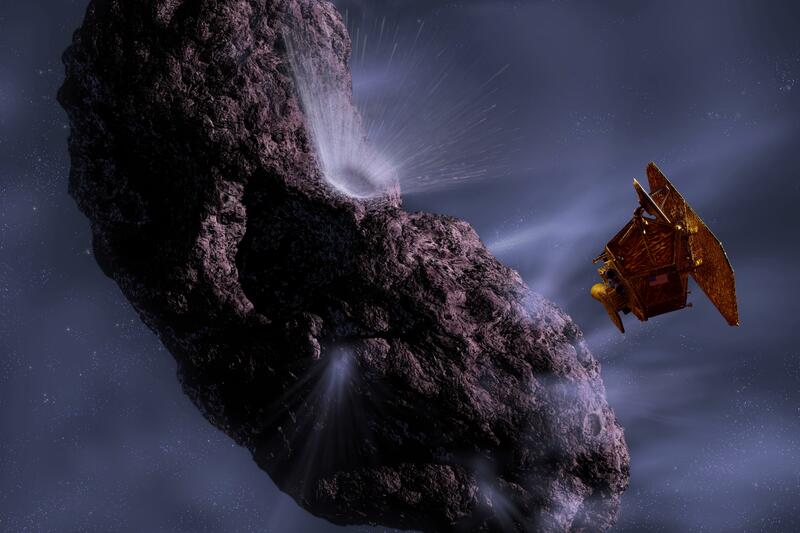 The mission of Deep Impact is to survey comets as well as observe them close up. The spacecraft was launched in 2005 and has traveled 7.58 billion kilometers (4.7 billion miles) in total thus far. Deep Impact mission controllers have been trying to establish a connection with the spacecraft for quite some time now. The last time there was a connection was on August 8th 2013. The mission controllers believe that there was some anomaly that has caused the spacecraft to continually reboot itself. This means there is very little hope that this anomaly will go away. The spirit rover on Mars had a similar issue but in the end a line of code that allowed the rover to boot up without flash memory saved it. Now the two cases are different but the chances are still low for Deep Impact. Even though it is really sad to feel like this spacecraft is about to go it still doesn’t mean it was too soon. Deep Impact accomplished it’s original goal as well as its extended goal and has produced some amazing scientific data. NASA would rather plan its end but this how some missions can go. We’ll still wait and see if there is any luck with communicating with Deep Impact spacecraft and hope to get some more valuable data out of it.